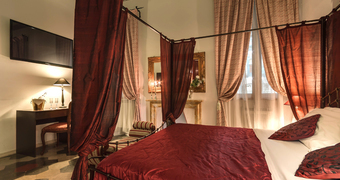 An elegant patrician residence in the heart of the Italian capital, Rome's Hotel Lord Byron offers the perfect combination of old world charm and contemporary luxury, within meters of Villa Borghese. 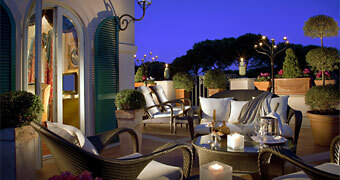 The Hotel Aldrovandi Palace is located in the Rome's most prestigious area, between the green expanse of the Villa Borghese gardens. 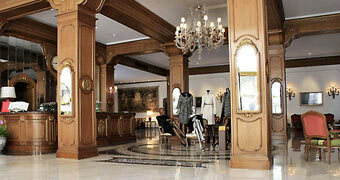 Hotel Hassler Romais famous for making guests feel at home away from home. 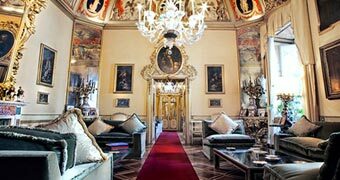 The Hotel Majestic, the first of the luxurious hotels on Via Veneto, is located in one of Rome most beautiful historical buildings, Villa Ludovisi. 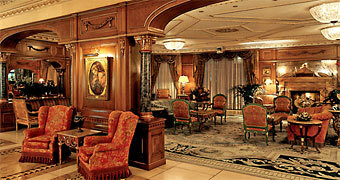 Designed to be royal, luxurious and of the same stature of the most accredited hotels in Europe: Rome's Hotel Splendide Royal. 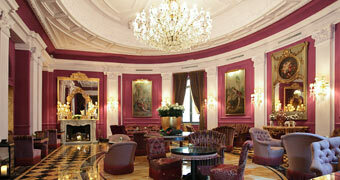 The highly prestigious Regina Baglioni Hotel is the Rome's meeting place for famous personalities. 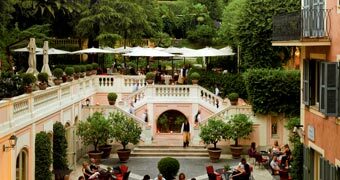 The Grand Hotel Parco dei Principi, surrounded by a marvellous garden, is ideal whether for a quiet, relaxing sojourn in Rome. When the lavish days of "la dolce vita" were over, the Grand Hotel Flora again shone bright in the array of the Capital's most exclusive hotels. 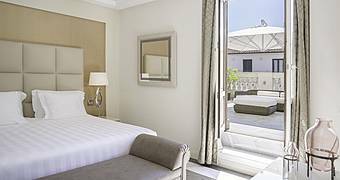 An effortless combination of classic Italian design and contemporary 5 star comfort awaits guests staying at Hotel Palace, on Romes glamorous Via Veneto. 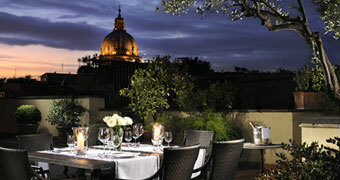 The Hotel De Russie lies in the heart of Rome, between the Spanish Steps and Piazza del Popolo. 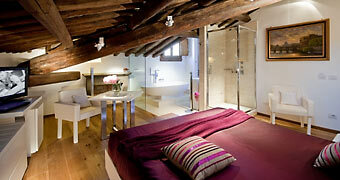 In the intriguing hotel Aleph near Via Veneto in the heart of Rome, the concepts of Heaven and Hell have been given an unexpected twist. 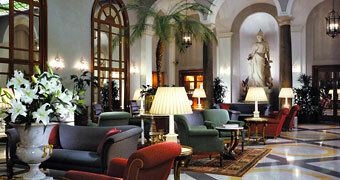 Superb luxury hotel Exedra in the heart of Rome. 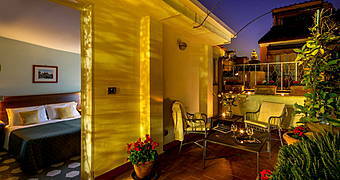 The Hotel d'Inghilterra opens its doors to those eager to experience the lofty, blasé charm of the world's most pampered capital. 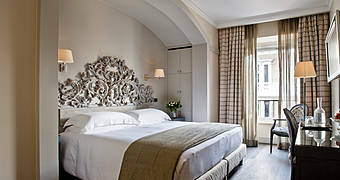 Visitors looking for the perfect boutique hotel in the Italian capital will love the effortless luxury of Rome's Hotel Stendhal. 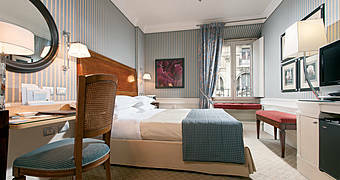 New superior four star Duke Hotel offering personalised services and the same comfort as a private club in an environment of high class and privacy. The emotions and sensations we succed in conveying are the highest expression of our personality. 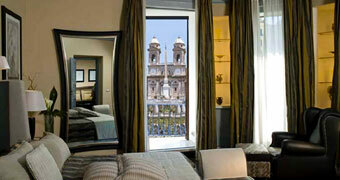 Aa the Hotel Borromini guest will find elegance and exclusive setting, Roman-style. 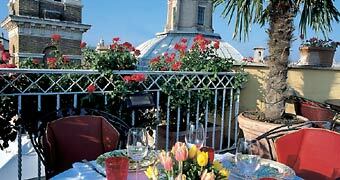 Hotel Centrale in Rome is a 3 star superior hotel in the heart of Italy's Capital city, just steps from the most important shopping district and most famous monuments in Rome. 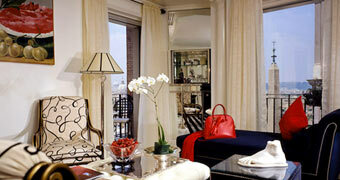 Crossing Condotti, an elegant property right in the heart of Rome. 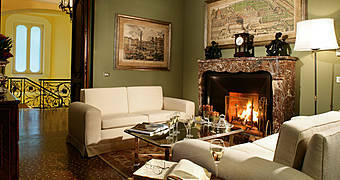 Casa Montani: luxury and comfort in the heart of Rome. 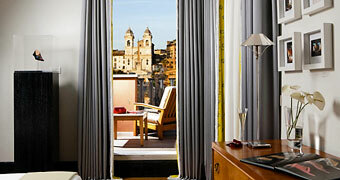 The Inn & the View at the Spanish Steps: old world glamour and contemporary comfort in the heart of Rome. Rome, Piazza di Spagna. 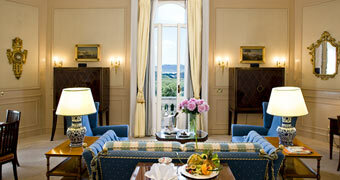 Two suites, 5 star concierge services, and à la carte breakfast: luxury courtesy of Tolentino Suites. 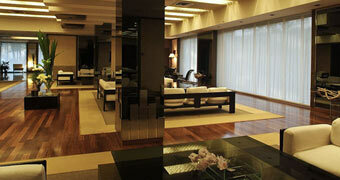 Looking for luxury, privacy and hi tech hospitality bang in the heart of Rome? 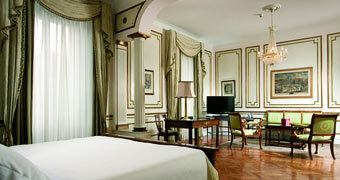 San Carlo Suite! 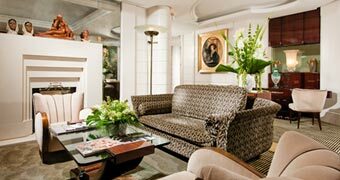 With its quirky fusion of classic and modern designer décor, 66 Imperial Inn is one of the most stylish guest houses in the whole of Rome.